The Best London Travel blogs from thousands of top London blogs in our index using search and social metrics. Data will be refreshed once a week. London Travel newsletter is a comprehensive summary of the day's most important blog posts and news articles from the best London Travel websites on the web, and delivered to your email inbox each morning. To subscribe, simply provide us with your email address. London Bridge About Blog Plan & book your trip to London with the official London travel guide. Find the best things to do, what's on, events, activities, sightseeing & attractions. Facebook fans 1,179,381. Twitter followers 560,736. London, United Kingdom About Blog Your up-to-the-minute guide to London life, news, culture, pop-ups, and openings and LOLs. Your global guide to art and entertainment, food and drink, film and things to do. Time Out is the trusted global platform that inspires and enables people to experience the best of the city. Facebook fans 1,259,322. Twitter followers 1,517,041. London About Blog The website for people who love London travel, history and culture. Check out Londontopia for all the latest London Travel Information, Culture Articles and News about the greatest city on Earth. Facebook fans 7,449. Twitter followers 689. London About Blog A Florida girl's London food and travel blog for people visiting London and living in London. It has advice on restaurants, hotels, afternoon teas, pubs, events, attractions and American expat life in London. Facebook fans 623. Twitter followers 10,380. Facebook fans 48,365. Twitter followers 10,146. Berlin, Germany About Blog Travel blogs, photos, stories and hipster tips for London, England - one of the world's most interesting, diverse and culturally cool cities. Your guide to the coolest things to do and see around the world — a lifestyle blog for men and other stylish travelers. Facebook fans 16,229. Twitter followers 37,486. Italy, London, Amsterdam, Prague About Blog Our London travel and food blog: Read our favorite things to do including restaurants, tours, travel tips, attractions and favorite places for sightseeing. Click to learn about our tours in East London & Soho that visit the best London food markets, bakeries, pubs & restaurants. Facebook fans 16,498. Twitter followers 1,672. Bayswater, London, United Kingdom About Blog Book Grand Royale London Hyde Park a 4 star hotel by our Official website and get lowest price guaranteed, Hotel is situated in Hyde Park in Central London, UK. Grand Royale London Hyde Park offers you all the comfort of home, mixing contemporary culture with its traditional English heritage. Facebook fans 5,120. Twitter followers 1,434. London, United Kingdom About Blog The London Perspective is my take on life living in London and the things I am most passionate about. London’s hidden gems, the best places to eat and drink, unique places to stay, art openings, and places to visit outside the capital. Facebook fans 734. Twitter followers 1,851. Luxuryland About Blog A luxury blog focusing on travel, lifestyle, hidden gems and unique experiences. A selection of luxurious places to see and hidden gems in London by Luxury Columnist, a luxury lifestyle blog. Facebook fans 32,583. Twitter followers 87,537. London About Blog Latest news and features from theguardian.com, the world's leading liberal voice. Latest US news, world news, sports, business, opinion, analysis and reviews. Facebook fans 7,694,377. Twitter followers 6,768,581. Indonesia About Blog The dreary weather will always be the highlight of small talk for the people of the United Kingdom, but that’s just the way it is. Get out and explore the castles, palaces, old towns, rolling green hills and iconic architecture of this fascinating – albeit damp – island kingdom. Facebook fans 65,058. Twitter followers 68,448. London, England About Blog Travel-lifestyle blog by a writer and filmmaker couple. Travel advice, stories, and photos to inspire your next trip. We find places and special stays worth sharing. Facebook fans 2,820. Twitter followers 16. Vancouver, British Columbia, Canada About Blog An online Travel Journal tool. Add pictures, videos, maps and tell your stories as you live them! Your friends and family can travel along with you. Facebook fans 169. Twitter followers 26. Leeds About Blog A Luxury Travel Blog about the adventures of Jess Gibson. The Blog documents both professional and personal travels and is about the destinations visited by her, top travel tips, tried-and-tested recommendations. The Travelista is a creative space where the story-teller of luxury travel adventures and inspiration to others to pursue their own travel dreams in the process. Facebook fans 3,527. Twitter followers 9,294. London, England About Blog My name is Angie Silver and welcome to SilverSpoon London, my luxury lifestyle, food and travel blog. I want to inform my readers about London events and lifestyle with hints and tips on where to go and what to do. Facebook fans 4,133. Twitter followers 20,245. London About Blog Posts about Culture Vulture written by Poppy Loves. The London lifestyle blog is sure to make you feel like a professional Londoner after reading Poppy's favourite places to go in the city. From eats, drinks, culture and afternoon tea you'll be spoilt for choice. Facebook fans 10,535. Twitter followers 34,132. London About Blog Experience London like a local. Honest tips, guides and resources for first-time visitors to London. Have the trip of a lifetime in Londontown. A girl from New York in London, teaching you how to experience London and the rest of Europe. Facebook fans 1,650. Twitter followers 2,618. London, England About Blog A Stylish Guide to London & Beyond. A personal blog by Elle Croft sharing her life in London and her love of discovering new destinations around the world. Facebook fans 808. Twitter followers 2,876. London About Blog Welcome to everyone visiting our blog, Family Travel Times. We hope you enjoy reading about our trips and days out, in London, the UK and beyond! Facebook fans 806. Twitter followers 8,758. London About Blog A London Fashion, Travel & Lifestyle Blog. Facebook fans 2,349. Twitter followers 11,497. Facebook fans 861. Twitter followers 4,639. London About Blog I love London. I sign things London. London is the key to my heart – it deserves some writing. Be it a travel blog, fashion blog, food blog, beauty blog, music blog, or something entirely different...I just like to think of it as a place where I can jam my tongue in my cheek, spread love, inspire adventure, and make you giggle. Facebook fans 4,094. Twitter followers 6,727. London Surrey, England, United Kingdom About Blog Get To Know The Stylish Side Of Travel. Facebook fans 895. Twitter followers 4,490. London About Blog Comfortable and stylish UK and international travel tips, combined with a mix of tea, luxury and animals. The Cosy Traveller is a UK travel blog focusing on helping you make the most of your annual leave. Facebook fans 656. Twitter followers 3,454. England, United Kingdom About Blog Inspirational Travel with Kids! Looking for ideas of the best in family travel, days out & things to do! Ideas to create,craft,cook & learn with your children! Make everyday extraordinary. Facebook fans 2,173. Twitter followers 4,327. England About Blog Travel blogger & social media manager, trips with and without teens. Mums do travel is a website which focuses on travelling with and without teenagers, staying in luxury accommodation and enjoying interesting cultural experiences. It's for parents of teenagers who still want to travel with their kids, but are also interested in trips with partners or friends. Facebook fans 2,605. Twitter followers 7,649. London About Blog Chérie City is an independent guide to the coolest events in the capital and London, discovering those amazing things that make you fall in love with the city. Giving personal recommendations on new design talent, café culture and boutique hotels on all budgets. Facebook fans 996. Twitter followers 4,250. Facebook fans n/a. Twitter followers 3,321. London, England About Blog This blog is mostly about Erin's life in London, her love for cooking, beauty, eating and travel. Gluten free travel reviews, hotel recommendations and more! Islandbell is a food, beauty and lifestyle blog written by a half-Japanese New Yorker currently living in London. Facebook fans 298. Twitter followers 1,424. London, England About Blog London lifestyle blogging by a twenty something penniless arts graduate. A London lifestyle blog brimming with London places and events, with a big dollop of laughter crammed in for good measure! The author writes about food, travel, London life, mental health and general lifestyle things. 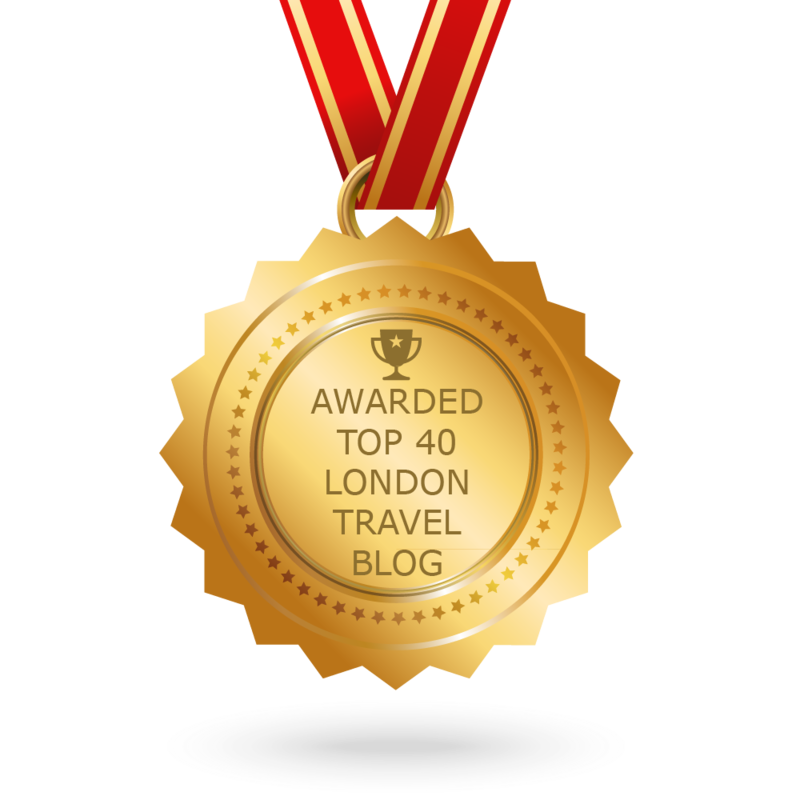 CONGRATULATIONS to every blogger that has made this Top London Travel Blogs list! This is the most comprehensive list of best London Travel blogs on the internet and I’m honoured to have you as part of this! I personally give you a high-five and want to thank you for your contribution to this world.